Open Enrollment state-wide begins Monday, February 4 and runs through April 30, 2019. 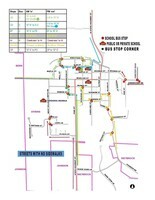 Here's the direct link to Open Enrollment: https://dpi.wi.gov/open-enroll...If you have any questions, please contact the district office. Register Now for the 2019-2020 School Year! The school board held a special meeting Tuesday to approve the contract for the new District Administrator, Jeff Mastin and introduce him to the public. Mr. Mastin will be replacing the retiring Mr. Micke at the end of his contract June 30th.The input and participation of the community, faculty, and staff throughout the interview process was greatly appreciated. On Friday's during FLEX Period, student are able to participate in fun and creative actives. Here are some pictures of students participating in this weeks scheduled activities. Buy Your Yearbook Now and Save! It's time to buy your 2018-2019 Athenian yearbook. 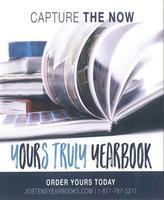 Now through Sept. 21, get your yearbook for as low as $38 and get 4 free icons! 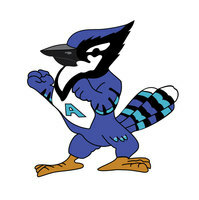 Just go to www.jostensyearbooks.com and search for Athens High School (look for the Athens Bluejay). Welcome to the new athens1.org!